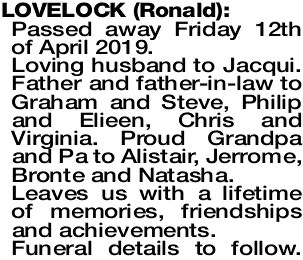 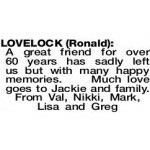 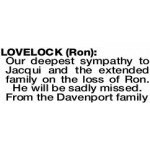 Our condolences to Jacqui and extended family. 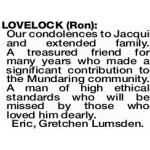 A treasured friend for many years who made a significant contribution to the Mundaring community. 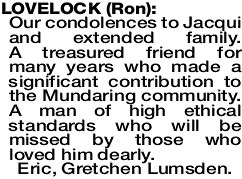 A man of high ethical standards who will be missed by those who loved him dearly.